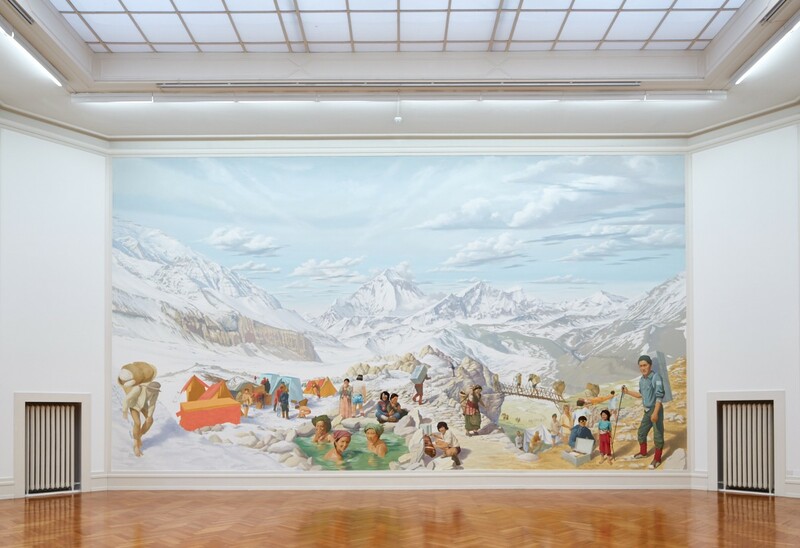 Sara Baldis and Donatella Bernardi, Dhaulagiri 1976, monumental wall painting realised between January 29th and April 3rd, 2015, synthesising 1000 slides taken by Alfonso Bernardi during the Italian expedition on the Dhaulagiri in February–May 1976, Kunsthalle Bern, 2015. Photography: David Aebi. During her time as a guest curator at Kunsthalle Bern, multi-disciplinary artist Donatella Bernardi (born in Geneva, 1976) has conceived a process-oriented exhibition project that connects three distinct narratives: it deals with politically loaded questions of national identity, signified by the alpine motifs in several works, while pictures from the artist’s private archive foreground more personal myths—and last but not least, the exhibition undertakes a visual journey to the Middle and the Far East, to Lebanon and to Nepal. 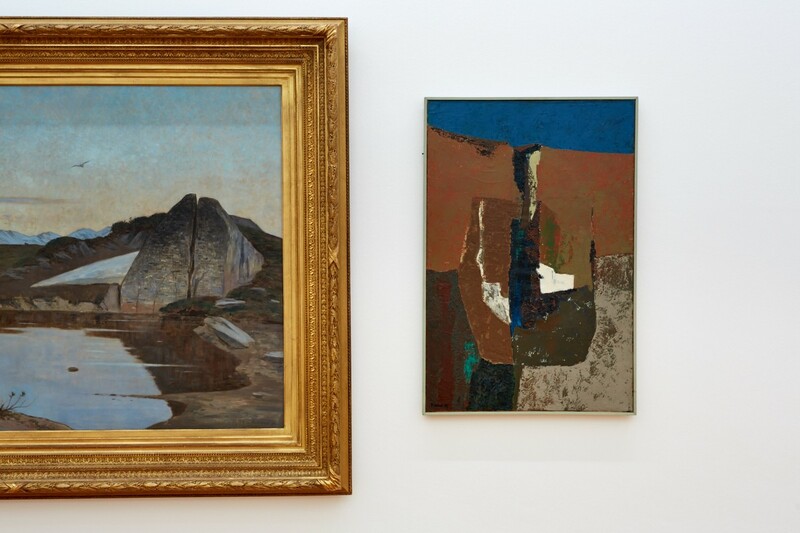 These three perspectives are represented by works that stem from disparate artistic traditions and contexts. 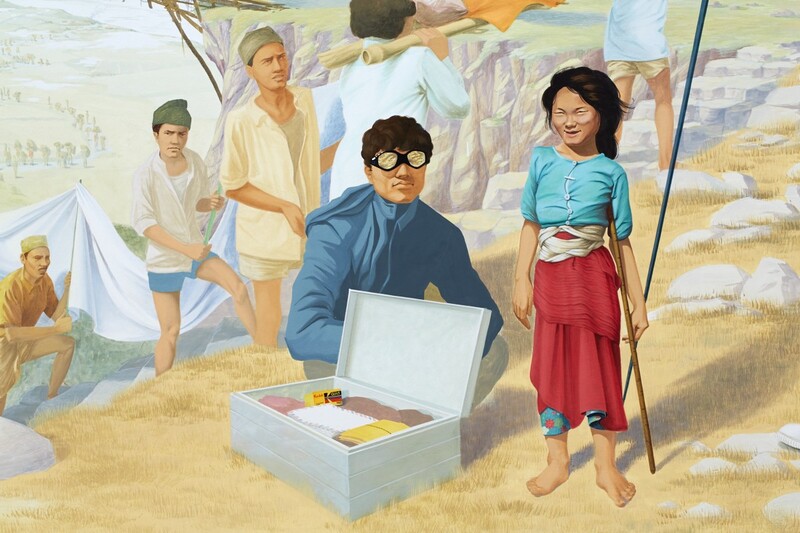 The exhibition features historical objects from the Swiss Federal Art Collection (BAK), framed photographic prints from the 1970s, a projection of countless digitized slides and monumental murals. 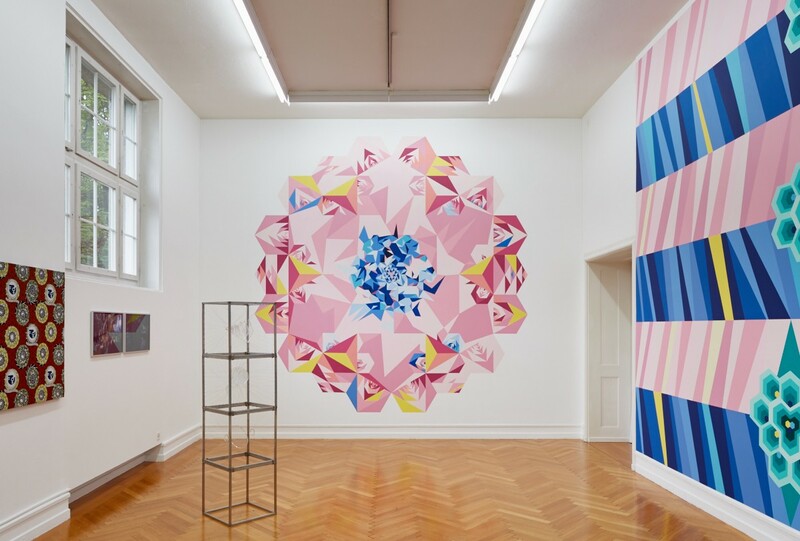 The project’s stylistic breadth encompasses classicist kitsch, geometric abstraction, graffiti on the Kunsthalle’s naked walls, as well as small- and medium-scale objects scattered on pedestals, which could be considered sculptures in their own right. Each room bears its own thematically relevant name that signals or acts as a key to its content. 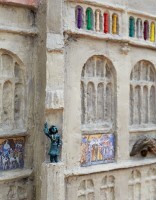 Drawing on the different, loosely linked exhibits, visitors can choose their own personal paths through the exhibition. 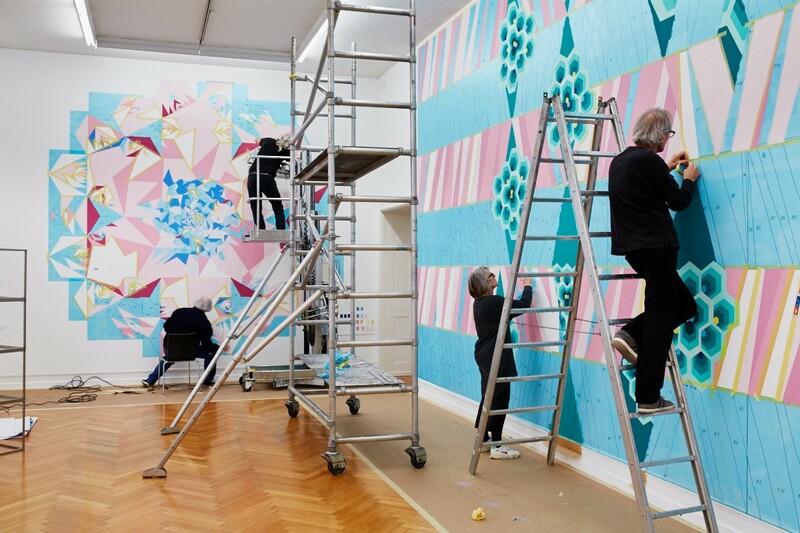 Since the project was designed as a kind of ‘event’, a work-in-progress, an ever-changing series of snapshots, visitors had the opportunity to watch fresco artist and conservator Sara Baldis paint the mural “Sisyphus” over the course of the exhibition. This composition is an amalgamation of 1000 slides recorded by Bernardi’s uncle and godfather Alfonso Bernardi (1914–2010) on a trip to the Nepalese mountain Dhaulagiri. They function as an anthropological documentation of this Italian-led expedition, which took place from February until May 1976. 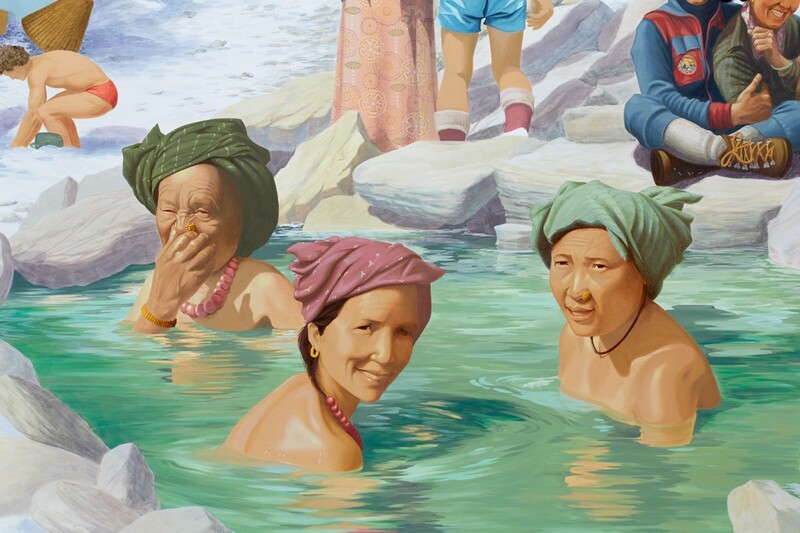 The depictions of Western alpinists and local Sherpas and porters shed light on an emergent touristy ‘event economy’—while the Himalaya sky seems to recall the Venetian school of painting. The fresco also metaphorically alludes to the endless cycle of ascension and decay, to familial and cultural heritages, and, quite simply, to the cycle of life. 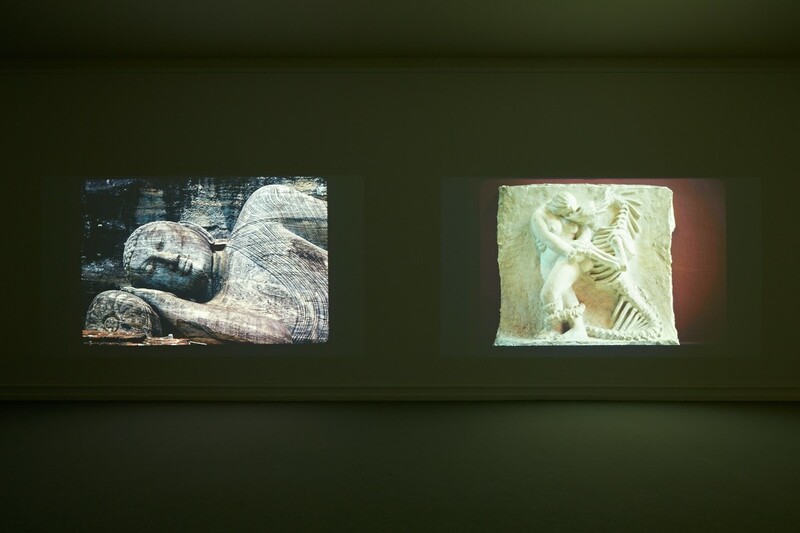 The next room over, named “Mother – Daughter”, establishes a contrast between works by two Lebanese artists, Saloua Raouda Choucair (born in Beirut, 1916) and her daughter Hala Schoukair (born in Beirut, 1957). 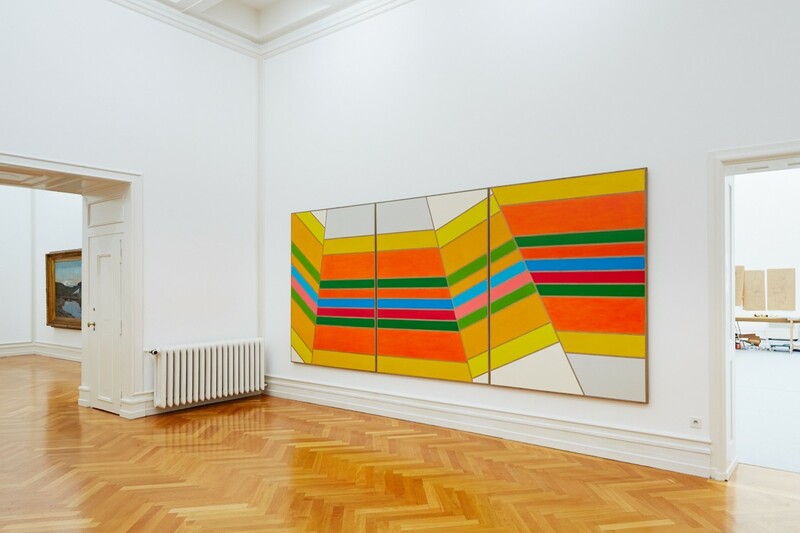 This is the first time mother and daughter are exhibited alongside each other: Which connections, apart from those concerning their individual production, can be drawn between the two women and their conceptions of ‘art’—modernist for the former, perhaps almost therapeutic for the latter? Downstairs, the tropical botany by the artist’s father Luciano Bernardi (1920–2001) replaces the mineral foundation of ruins and sediments visible in a Syrian frieze near the museum’s entrance: the photographs in the Kunsthalle’s atrium show the citadel of Aleppo, already damaged by the war, and the excavation site of Palmyra, which is acutely threatened by it. These supposedly imperishable stone formations have suddenly become fragile, while the transitory blossom of a plant gains in presence and strength through the sheer fact of its aliveness—some examples on show here appear almost supernatural or hallucinatory. 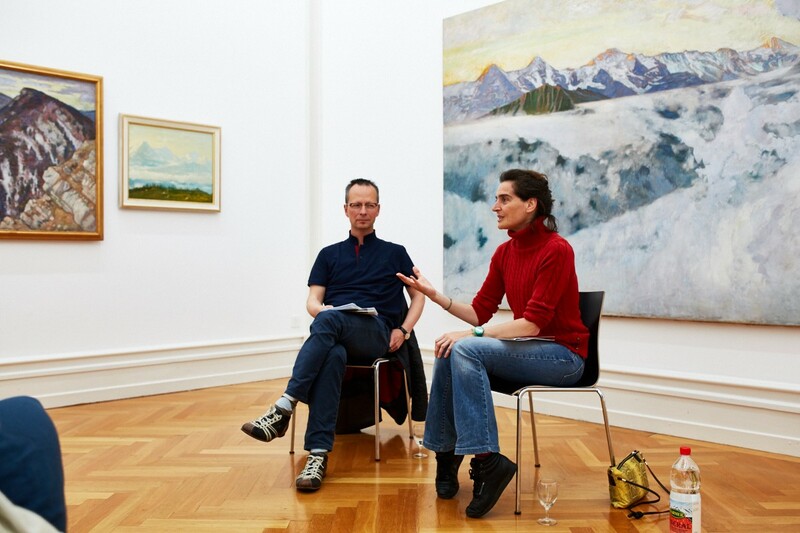 The 29th of January will mark the opening of Kunsthalle Bern’s next exhibition, entitled Morgenröte, aurora borealis and Levantin: into your solar plexus. Kunsthalle Bern’s guest curator, Geneva-born artist and art historian Donatella Bernardi, used the private photographic archive of her uncle and godfather Alfonso Bernardi as a point of departure for a visual journey that spans many subjects and several artistic fields and media. 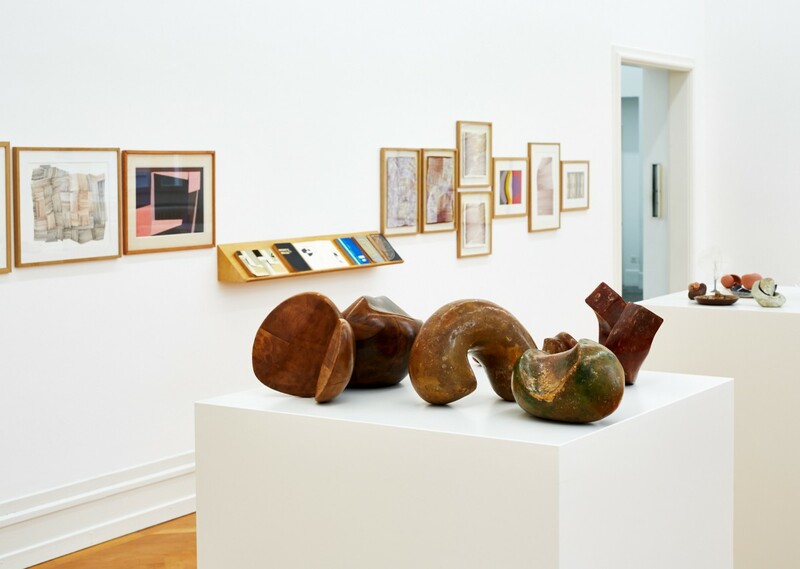 On the basis of spectacular photographs taken by Alfonso Bernardi during his expeditions in the Himalaya and the Middle East in the 1970s, the exhibition establishes intricate connections to the history of Swiss art, as well as to modern and contemporary Lebanese art—all the while resembling a veritable cabinet of curiosities. We are very pleased to announce a number of collaborations with local, national and international institutional partners that all played a significant part in the successful realization of this project. The Swiss Federal Art Collection (Bundeskunstsammlung) will generously loan a number of important works to Kunsthalle Bern: Hans Bachmann, Jean Louis Auguste and Pauline de Beaumont, Egidio De Rubelli, Andreas Dobler, Walter Eggimann, Franz Fedier, Werner Hartmann, Konrad Hofer, Gustave-Auguste Jeanneret, Heinz-Peter Kohler, Charles L'Eplattenier, Katja Schenker and Hugo Wetli will all figure in the exhibition. 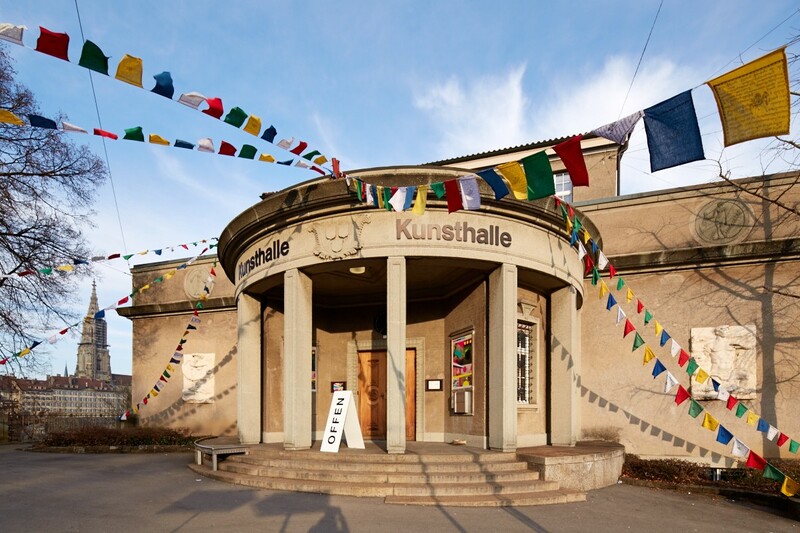 Moreover, the Robert Walser Center Bern, the Bernese University of the Arts (HKB) and the Sommerakademie im Zentrum Paul Klee will support Kunsthalle Bern in organizing various events related to the exhibition. 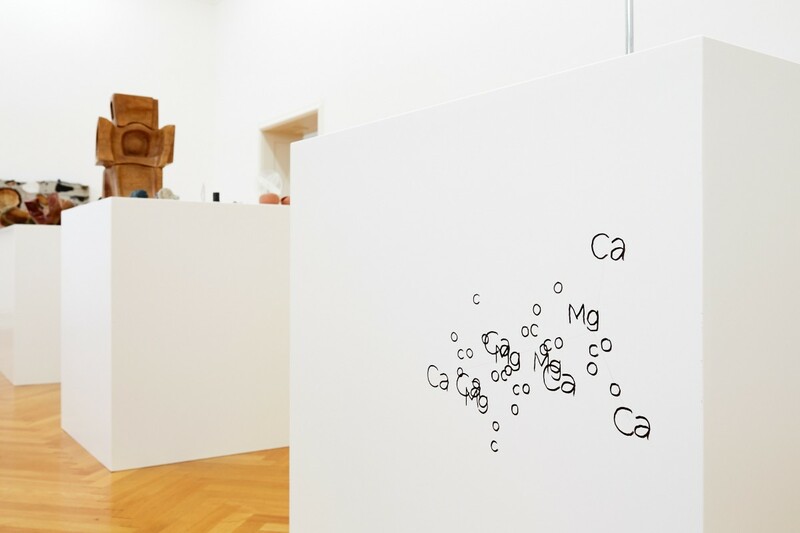 Kunsthalle Bern will also work alongside the mineralogical collection at the Muséum d’Histoire Naturelle / Muséum Genève: rock formations from the museum’s image database are to serve as templates for an expansive work, set to be created gradually after opening day. These rock formations allude to Luciano Bernardi, the curator’s father, a botanist who passed on his love of nature and its manifold forms to his daughter. Since the exhibition is conceived as a kind of event, an open-ended work-in-progress, Kunsthalle Bern will also present the incremental creation of other works. 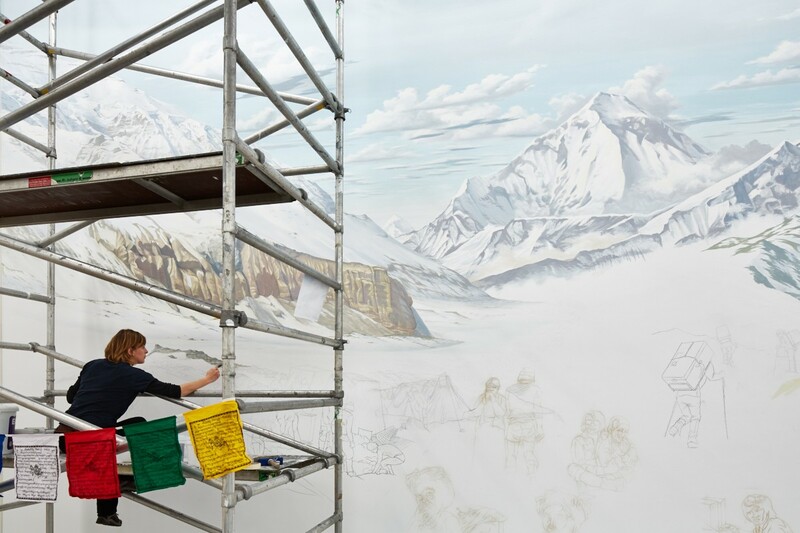 Starting on opening day, visitors will be able to observe fresco artist Sara Baldis during her painterly ascent of a Nepalese eight-thousander. Furthermore, we will show works by the Lebanese artist Saloua Raouda Choucair and her daughter Hala Schoukair, the visual composition of which recalls Robert Walser’s Micrograms. 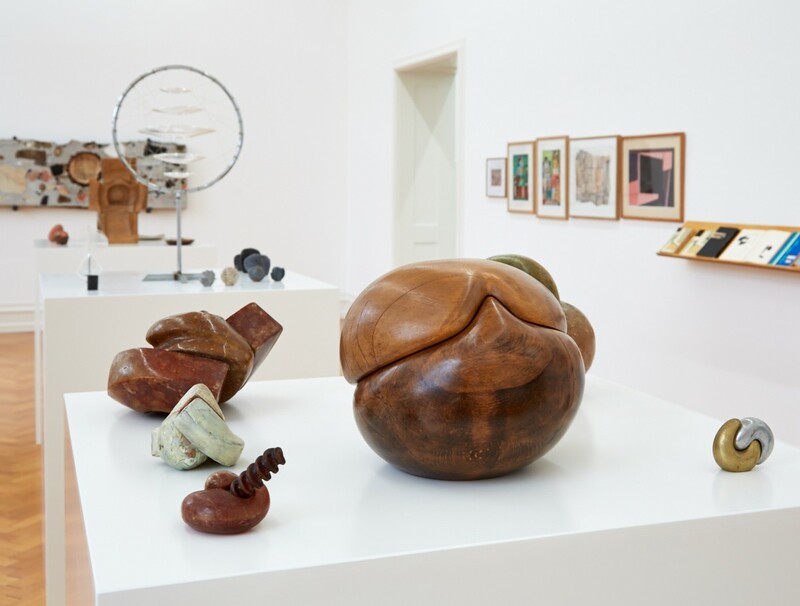 Consequently, the exhibition explores the power of intergenerational relationships, biographical disruptions and latent familial traumas in shaping identity. As artists, and as heirs of a problematic past, both Donatella Bernardi and Hala Schoukair are confronted with such questions - and reflect their origins in their works. 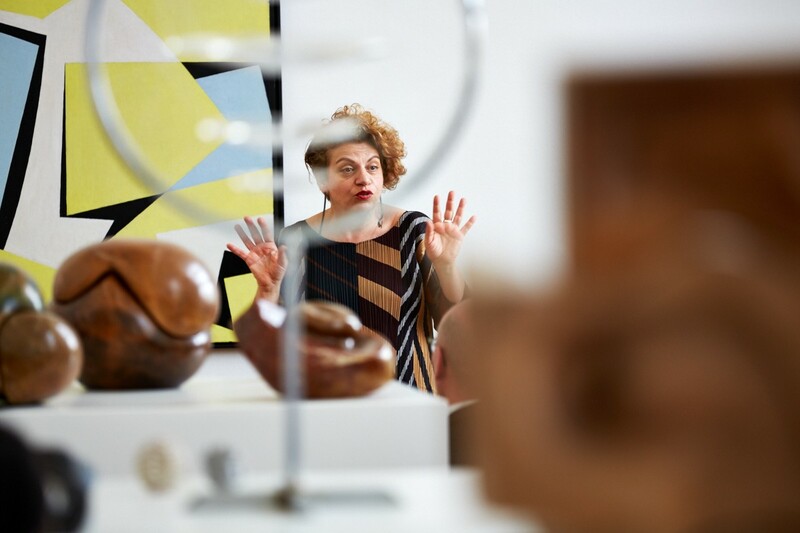 We would already like to direct your attention to selected highlights among the comprehensive list of events that will support and accompany the exhibition. 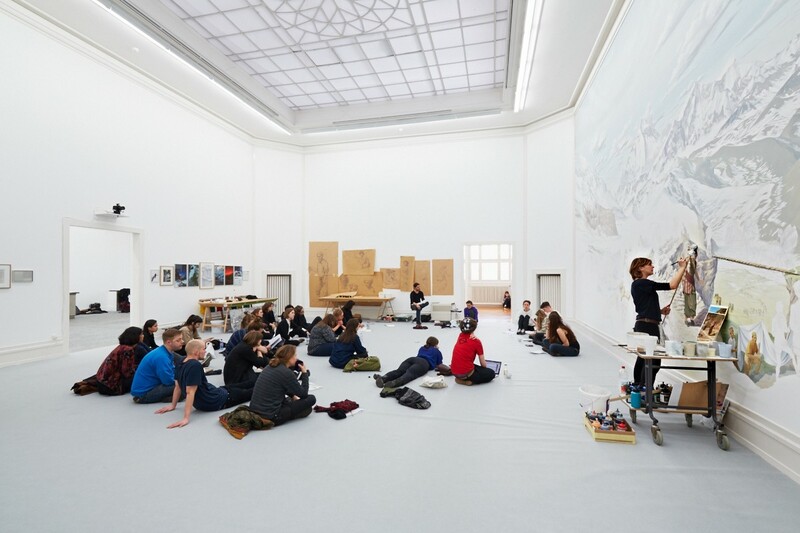 Apart from our usual formats (guided tours, the culinary guided tour Kunst zum Sattwerden and the artist’s talk), several artists and researchers are going to enrich the exhibition with performances, workshops and lectures. Cultural theorist Jason Francis Mc Gimsey will reflect on the notion of the ‘event’ (‘Ereignis’) along with art students from Stockholm (Royal Institute of Art) and Bern (HKB) on the 5th and 6th of March—with a slapstick performance by the artist duo Lars and Olav on the 16th of May serving as a sort of counterpoint. 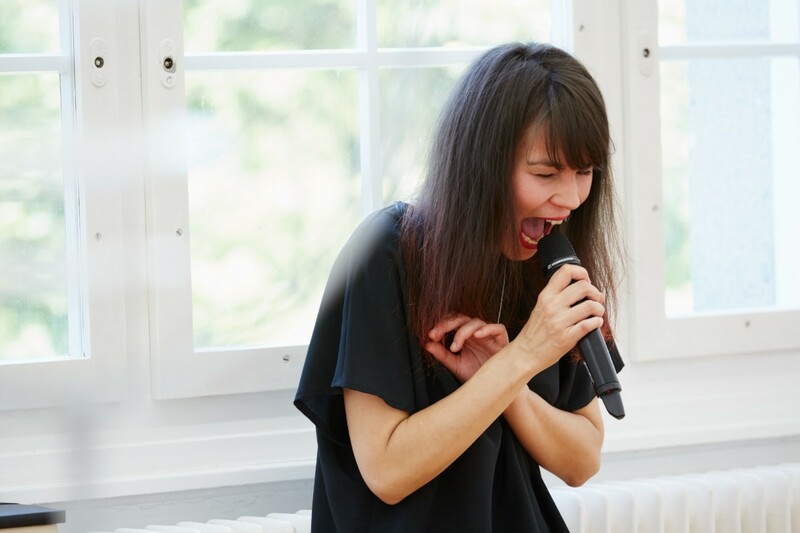 The exhibition will end with a bang on the weekend of the 6th and 7th of June, featuring an eight-hour atmospheric musical performance by Franz Treichler, member of The Young Gods and winner of the Swiss Music Award, and a public tour guided by Donatella Bernardi herself. Donatella Bernardi, Long and horizontal ecstasy, 2015. 5298 slides by Luciano Bernardi, 1950-1981; film #1: 5:59 hrs, film #2: 5:45 hrs; digital fade-out effect: Fredrik Fermelin; music: Franz Treichler, 7 soundscapes and silence at random. Photo credit: David Aeby. 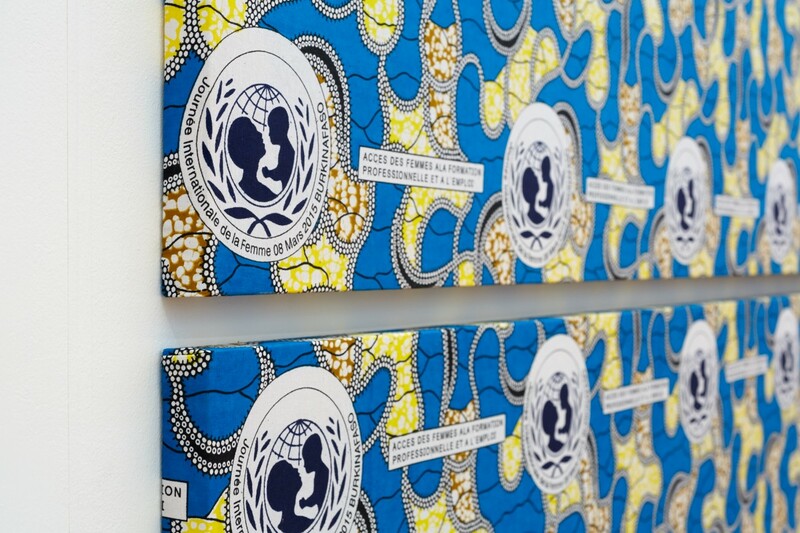 What issues are you addressing in this exhibition? The construction of identity (national and personal) and personal mythology. 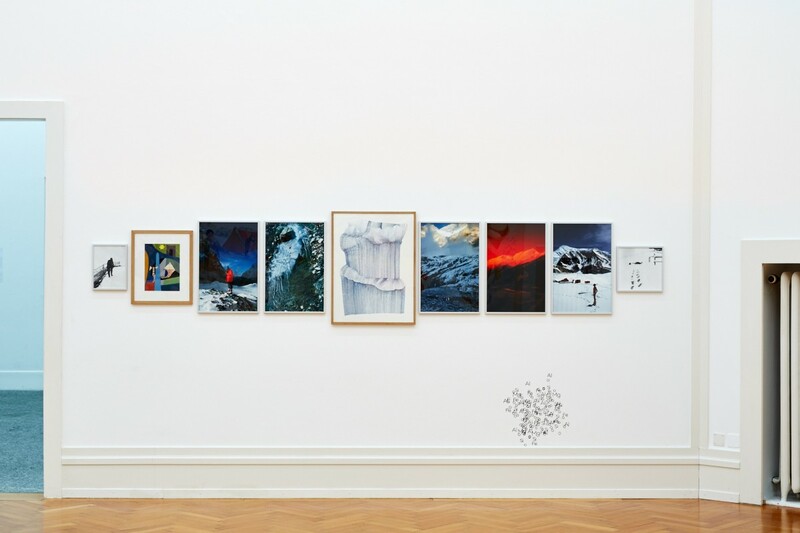 As this project takes place at the Kunsthalle in Bern, it became very obvious to take as a point of departure the Alps and their representation (most of the time I work in a site-­specific manner). According to my current perception, the way Swiss and European bergs climbers in general related to the Himalayas is not very far away from the fascination they experiment in Europe before going to the East. One of these Europeans fascinated by mountains was my uncle, Alfonso Bernardi (1914­–2010) who did participate in the Dhaulagiri Italian expedition of 1976. He left around 1000 slides depicting this event. Out of this material that I recently had scanned for the sake of this project, I invited the naturalistic painter Sara Baldis from Bergamo to make a monumental wall painting in the main hall of the Kunsthalle. She will be painting for around 2 months during the opening time of the exhibition center. 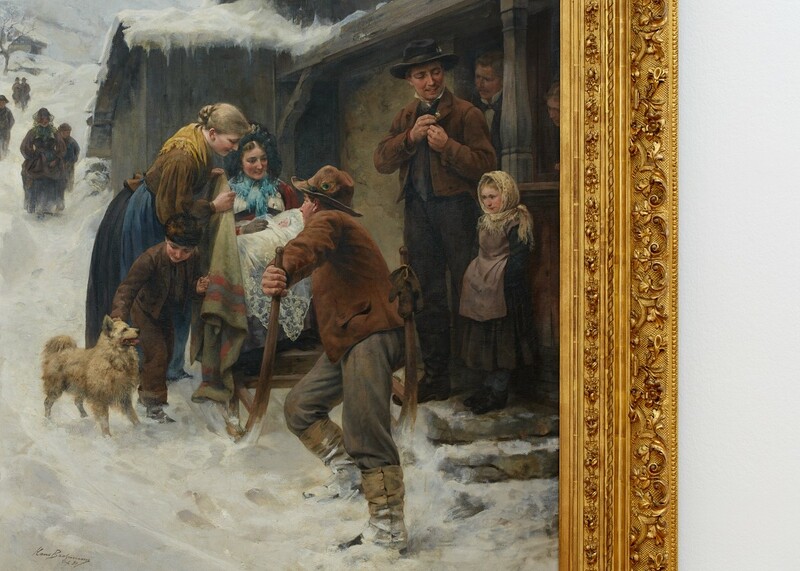 19th century paintings belonging to the Swiss Confederation Fine Art collection will be hung in a dense and saturated manner in the two little rooms nearby. Mineralogy representation is also here to be understood as addressing the issue of time, patrimony and transmission. My uncle Alfonso was a journalist and berg climber, my father, Luciano Bernardi (1920–2001) was a systematic botanist specialized in tropical plants. According to him time is measured by another kind of clock than the almost eternal stone, i. e. fragile and ephemeral flowers and the vegetal reign in general. In the underground rooms of the Kunsthalle, I present this other relation to biological rhythm by using visuals elements of my father's archive. 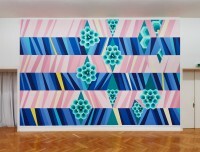 In this exhibition I also address the question of science and its possible visual manifestation. Why did you decide to link Swiss and Lebanese art? West meets east? On the way to the Himalayas departing from Switzerland, you might do a stop in Lebanon, one the most Europeanised countries of the Arab world. On another level, while working on a project in Beirut last October, I got to know the work of Saloua Raouda Choucair (1916–) and her daughter, Hala Schoukair (1957–). I became very quickly fascinated by this mother­-daughter relationship that I could address by the practice of abstraction in the field of contemporary art, coming myself from a very male dominant family constellation. The abstraction developed by Choucair has merged the Western modernism with the Islamic tradition where art is about evoking and triggering potential more than any description. I feel excited by exhibiting the powerful evocations of these two Lebanese women together with my relatives' obsessions of witnessing and classifying what they perceived, analysed and understood of their reality. Is there a role you enjoy most ­- teaching or curating for example? For a while now, teaching has been part of my artistic practice. And I personally don't make a major distinction between curating and developing my art as research, curating is simply part of it. 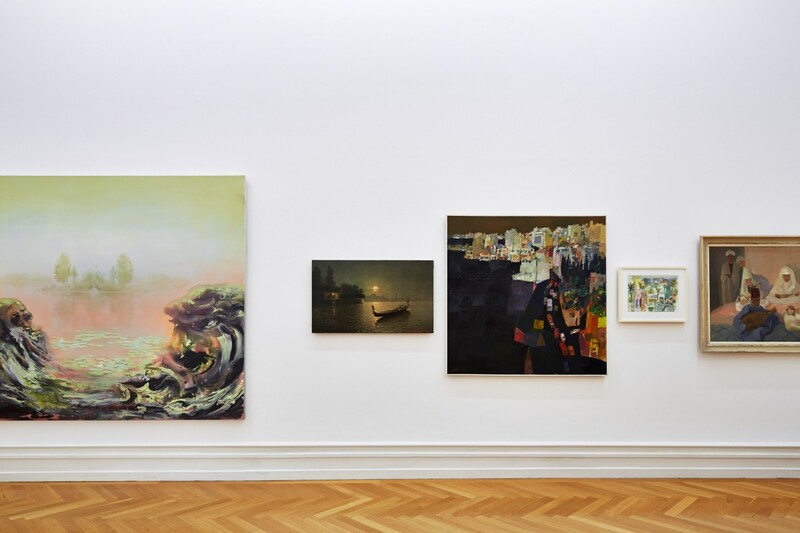 One of my student at the Royal Institute of Art in Stockholm, Fredrik Fermelin, has for example developed two wall paintings for the Kunsthalle Bern exhibition. Some other students will take part of the workshop about the philosophical concept "event" that will happen during the exhibition time. Some of them will also perform in the art space at the occasion of the 8th of March under the umbrella of "royal intersectionality". Can you take me inside the exhibition? What can visitors expect. Paintings from the 19th and 20th century from Swiss artists in relation to the Alps and Orientalism, a monumental painting dealing with Himalayan climbing in the 70's will be done while they will be visiting the show, the abstract oeuvre of two Lebanese women artists will be displayed together with some documents presenting Robert Walser, the famous Swiss writer enjoying walking. These are some of the elements that will be visible at the ground floor of the show. 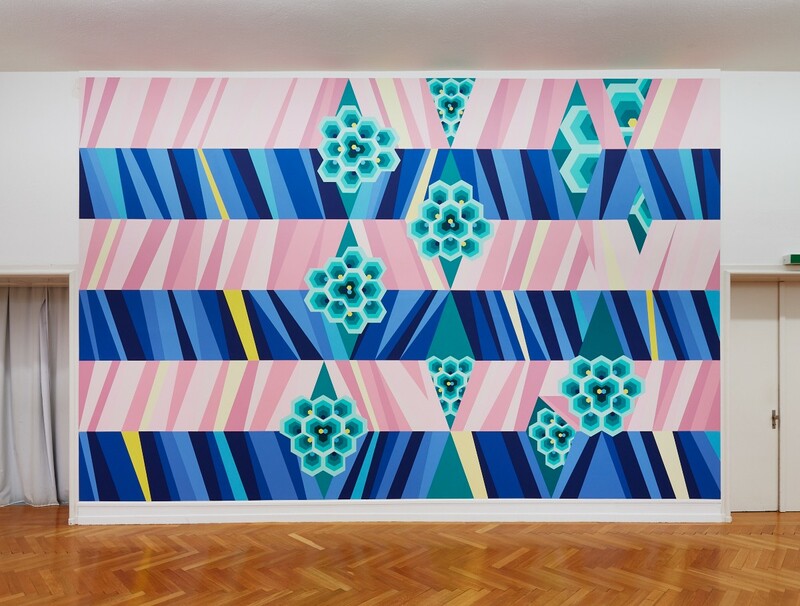 In the underground of the Kunsthalle, two large abstract geometric wall paintings will synthesize the hallucinated and hallucinating vision of decades of systematic botany around the globe. 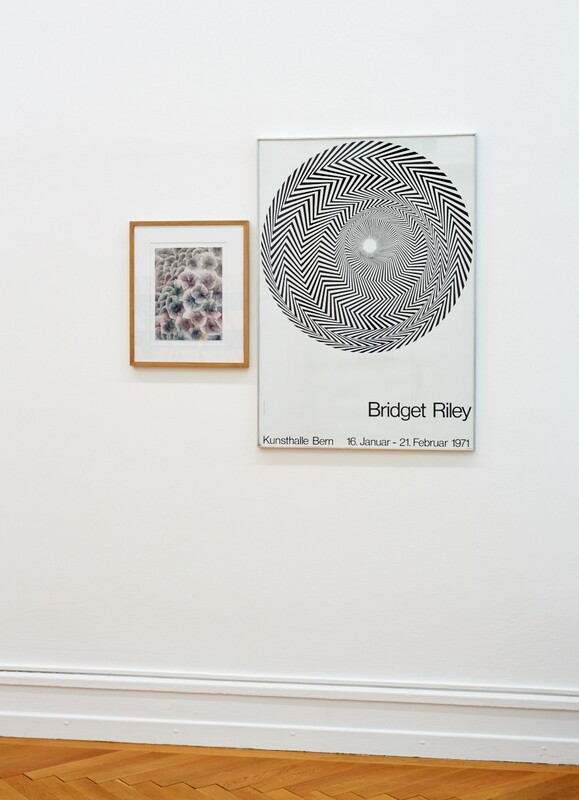 These paintings are formally tributing the work of Bridget Riley as well as the Swiss constructivism tradition and their followers, bringing it in the direction of psychedelic and even new age area. 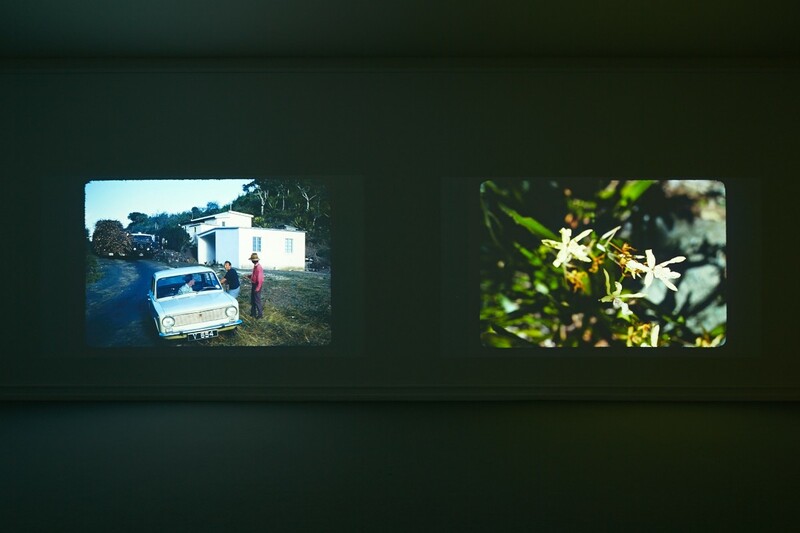 In the next room, two movies of 8 hours each present a selection of the 12 000 slides of the life of an Italian botanist having started his career in Venezuela in the 50's. Do you think the idealized view of Switzerland needs to be reconsidered? Yes. Always. In that sense, I exhibit the model of an architecture contest I was invited to participate in the fall 2014. 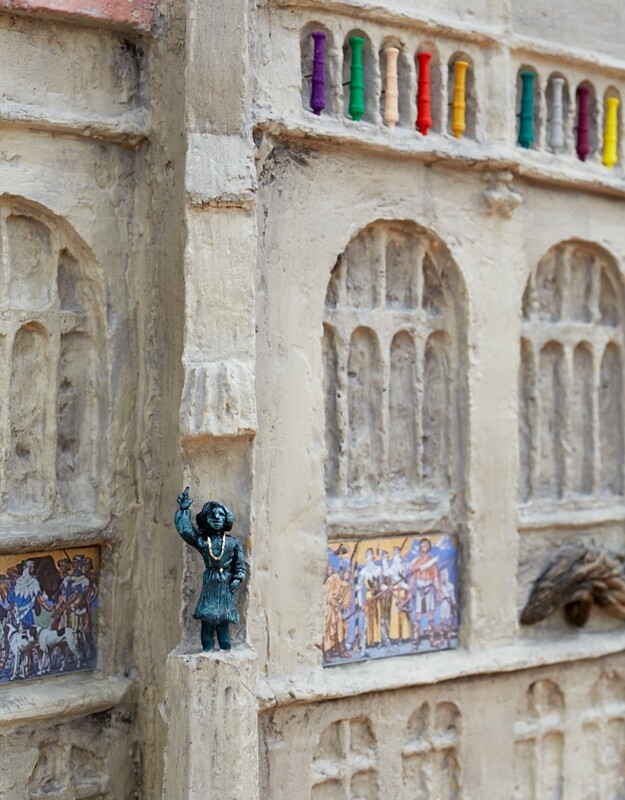 The Swiss Confederation asked 7 artists to propose a decoration for the facade of the Landesmuseum in Zurich. My proposal was eventually too critical or radical to be concretised but I can still exhibit it to the public. I address feminism in the Swiss politics, neutrality and federalism as an ideal. Or why is this a useful image to contrast with current issues such a feminism and Syria? Women in Switzerland got the right to vote and be eligible in 1971. Since then, things moved pretty fast. But nowadays and with my students in Sweden, we work more on intersectionality for example. 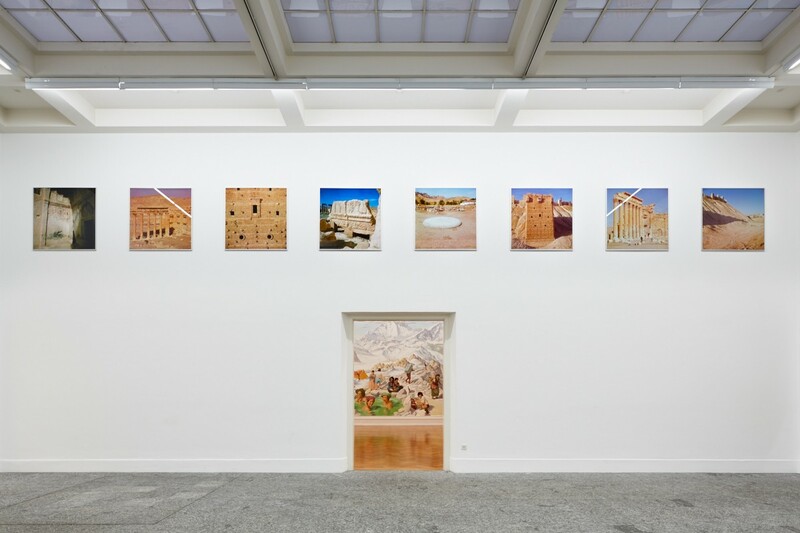 Syria, another possible stop on the road to East, got represented at the Kunsthalle in Bern with photographs taken by my uncle in 1975, most specifically in Aleppo and Palmyra. I took the decision to address the current war by using images of the past, feeling speechless in confront of what is happening and its mediation. Let's see what these images will bring further during the exhibition. The program, even dense, is not closed yet. Tell me more about the route taken in 1976 by one of your relatives? Having been trained first in Alpinism during the WWII in the Italian army forces, my uncle Alfonso Bernardi took part in the Italian expedition to the Dhaulagiri in 1976. At that moment, he was already retired from his journalistic occupation at the Resto del Carlino in Bologna. In parallel to his travel to the East, he was also undertaking studies in sociology and anthropology in Italy. His photographic gaze is then characterized by a interest towards the Nepalese accompanying and surrounding the expedition. 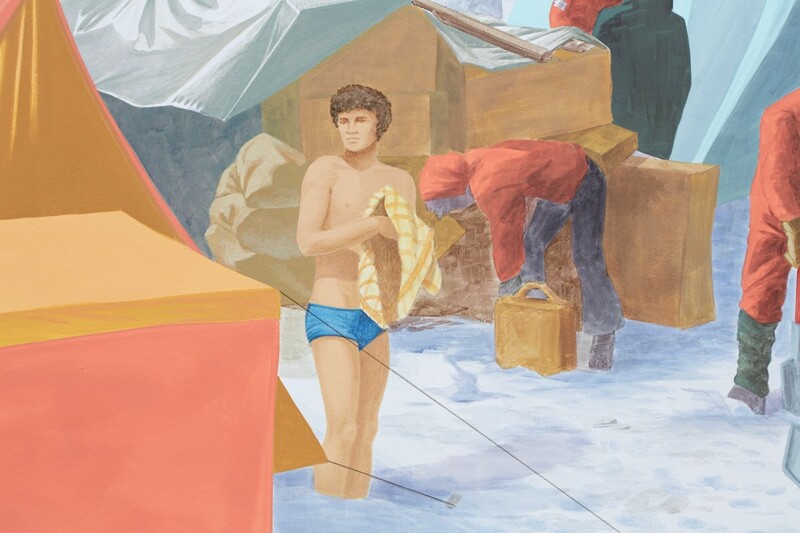 This ethnographic and self-­ethnographic testimony constitutes the main value of the documentation he left from this exhibition, beside the uncontested quality of his pictures. What else can we expect from this exhibition­ the press release says there are a series of events. 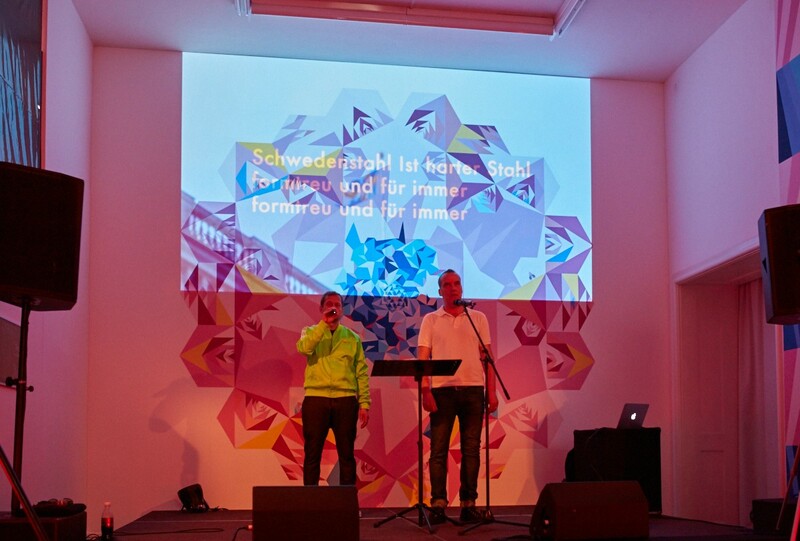 Many events are programmed during my curating time at the Kunsthalle in Bern. Among them, indeed, I do organise a two days workshop addressing the "event" as a philosophical concept (by Jean-­François Lyotard, Gilles Deleuze and Alain Badiou, as well as Slavoj Žižek in collaboration with Jason Francis McGimsey (5th and 6th of March). The "event" is the meta level of my project at the Kunsthalle where many things will be developed during the time of the exhibition. Hala Schoukair will also give an artist talk about her art practice, her mother's art practice and matrimony, on the 7th of March. Lars Arrhenius and Olav Westphalen will perform on the 16th of May on the basis of a parodic nazi hymn they are currently composing. 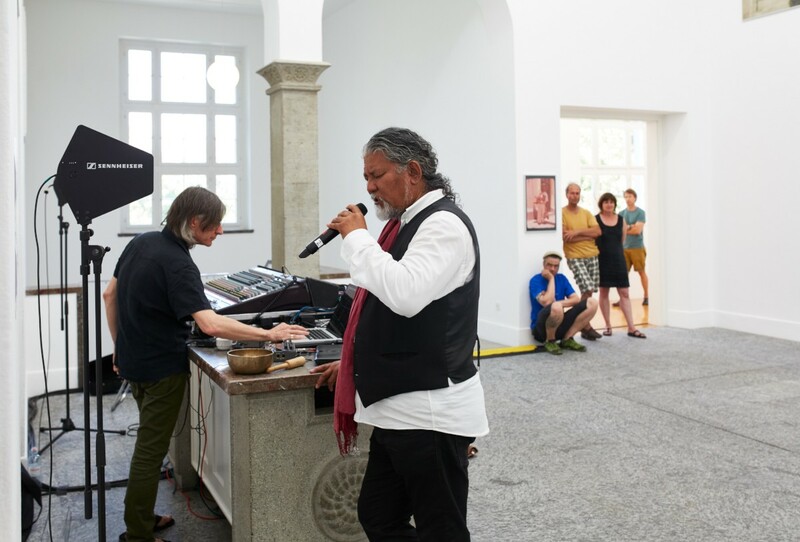 On the 6th of June, Franz Treichler from the Young Gods will perform for 8 hours in the entire Kunsthalle building. This musician is also producing a sound installation to complete the projection of the botany-slides archive in the underground. Is this your most personal project considering it is Switzerland? All photographs by David Aeby.